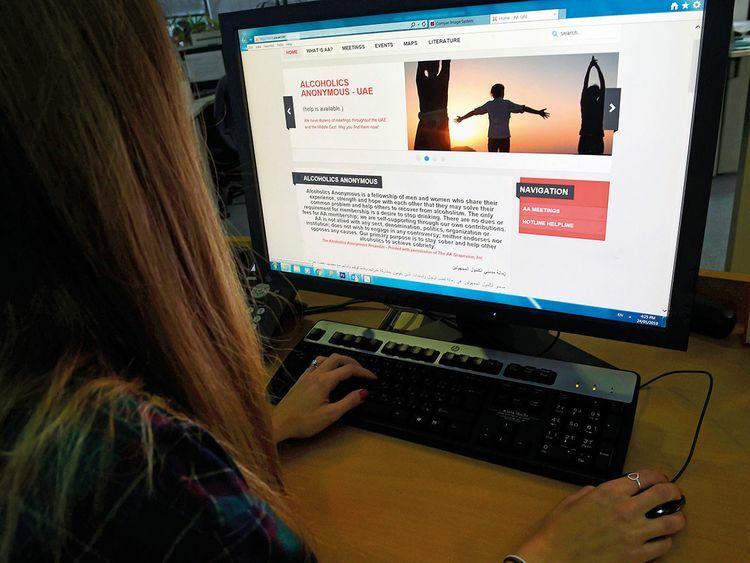 Dubai: A growing number of young white-collared professionals are attending Alcoholics Anonymous (AA) sessions in the UAE as stress, loneliness and access to easy credit take their toll, members said. Gulf News attended meetings at a church compound in Dubai early this week. A total of 20 sessions take place every week across the emirates of Dubai, Abu Dhabi, Al Ain, Sharjah and Ras Al Khaimah, each with averages of eight to 10 persons in attendance, group leaders told Gulf News. Participants in the Dubai meeting were interviewed on condition of anonymity. One of the attendees, Malek, a smartly turned out professional in his 40s, who is himself a recovering alcoholic and 100 days sober, had worries for his younger colleagues at work. The same person who was on Dh6,000-8,000 and was happy, is now not happy on double or triple the salary. That says something about the next generation. “I have 150 people working for me in my business, 50 of whom are white collar, nearly all of whom come from the subcontinent,” said Malek from Gujarat, India. “All of a sudden they come here and it’s a big change in their life. They come to a much better lifestyle, get carried away and can’t control it. “The same person who was on Dh6,000-8,000 and was happy, is now not happy on double or triple the salary. It is a problem affecting all echelons of society, not just the ‘down and outs’, as some people outside AA meetings might perceive, but also — and especially more recently — the young and successful, who you wouldn’t otherwise suspect have a drinking problem, because even they are the last to realise it. “I didn’t have any problems at work,” added Malek. “My efficiency might have suffered, but I didn’t think I had a problem. Often during work hours I’d sneak out for a couple of drinks, I was what’s called a functioning alcoholic. He confirmed that local sessions were seeing more and more young people in attendance. “In the global context the average age of newcomers has dropped phenomenally. Locally we have also observed that we are getting younger people come. That’s good because it shows the awareness of alcoholism is there among the youth, but the trouble is they don’t stick to it. Why is the retention rate of young attendees so poor? “It takes a long time for a person to come out of denial,” said Arthur. “But the fact we are getting younger people, shows that they are hitting rock bottom sooner. Now they are getting more educated and accepting of the fact that you may think you are leading a normal life, but you could still be an alcoholic. “They get educated, come and then realise if they don’t stop they will end up like the older guys in the group. However, the trouble is that it is very difficult for a young person to accept that they can’t drink again for the rest of their life. A support group that holds regular meetings where people suffering from alcoholism can go to discuss their problems in confidence. No records are kept on members, and everything discussed within the group stays in that room. Members share their own experiences of battling alcohol, which may be cathartic for themselves or inspiring for new members. Going around the room each attendee is invited to talk, but is not obliged, and they are not pressured to return. Although faith and spirituality may be discussed as an element of healing, you need not be religious or of the same faith as the venue. Visit www.aauae.net to find out the times and locations of a meeting near you and contact the group leader via the number provided.